Full-size sedans have been seriously waning in popularity the last few years, with sales falling and the choice of models dropping like flies. 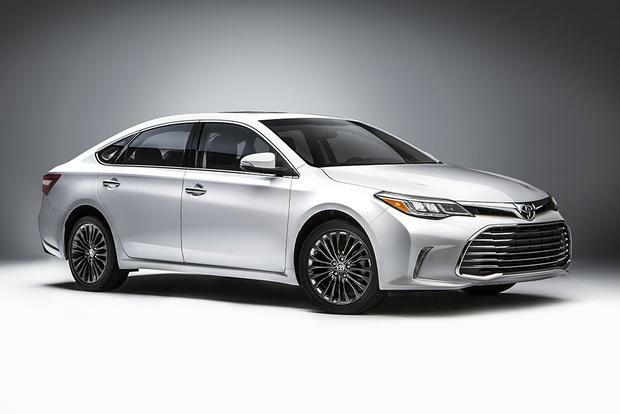 However, if a full-size sedan is what you're seeking, it's hard to argue against the 2018 Toyota Avalon, a car that has very much been the segment's benchmark for years now. It provides a more spacious back seat and trunk than a mid-size sedan can muster, along with a higher degree of refinement. Yet, the Avalon stands out from its few remaining competitors by not only excelling at the basics, but by going above-and-beyond with a cabin that rivals (or surpasses) luxury models and a list of standard features that includes accident avoidance tech. You'd have to pay extra for that in competitors. And, of course, the Avalon has a well-earned reputation for reliability. Plus, the Avalon is even aging gracefully despite being on the market for five years since its last full redesign. Sure, it doesn't have Toyota's latest-and-greatest V6 powertrain offered in the new Camry, but the 6-cylinder it has is still plenty powerful. If you're prioritizing fuel economy, the Avalon Hybrid really is your best full-size sedan choice. We won't say the same thing about every Avalon, though, as cars like the Kia Cadenza, Buick LaCrosse and Chrysler 300 all have their benefits -- especially in terms of driving dynamics, style and overall character. One of those might serve you better, but we doubt anything would be as well-rounded as Toyota's biggest sedan. The Avalon carries over unchanged for 2018. The Avalon offers two powertrain choices. Standard models get a 268-horsepower 3.5-liter V6 mated to a standard 6-speed automatic transmission and mandatory front-wheel drive. It returns 21 miles per gallon city, 30 mpg highway and 24 mpg in combined driving. Drivers looking for better fuel efficiency can upgrade to the Avalon Hybrid, which returns 40 mpg city, 39 mpg hwy and 40 mpg combined. 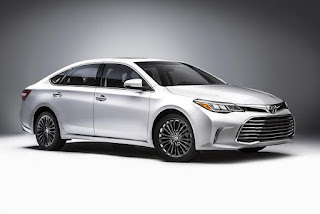 On average, opting for this model will save you $650 on fuel per year compared to the regular Avalon. Its combined power output is 200 hp, which isn't a lot -- and as such, the Avalon Hybrid is one of the slowest full-size sedans. The 2018 Toyota Avalon is offered in five trim levels: XLE, XLE Plus, XLE Premium, Touring and Limited. The Avalon Hybrid is only available in XLE Plus, XLE Premium and Limited guise. Things start off with the base-level Avalon XLE ($33,500), which is offered only with the sedan's V6 engine. Standard features include automatic headlights, 17-inch alloy wheels, leather upholstery, power front seats, heated front seats, keyless access for the front doors and trunk, push-button start, a rearview camera, Bluetooth, a USB port and a 7-in touchscreen with Toyota's Entune infotainment interface. Also standard is Toyota's Safety Sense package that includes adaptive cruise control, forward-collision warning and automatic braking, lane-departure warning with steering assist and automatic high beams. Next up is the XLE Plus ($35,300 V6, $37,500 hybrid), which adds keyless access for the rear doors, an auto-dimming mirror and a power sunroof. Then there's the XLE Premium ($36,700 V6, $39,000 hybrid). It adds a blind spot monitoring system, rear cross-traffic alert, driver memory for the seat and mirrors, an improved version of Toyota's Entune infotainment system with navigation and app functionality, a wireless device charger and a 9-speaker sound system. After that comes the Touring ($37,900), which is only offered with the V6. It adds sportier suspension tuning, steering-wheel paddle shifters, 18-in alloy wheels and LED headlights. Topping the sedan's range is the Limited ($41,300 V6, $42,800 hybrid). It reverts to the standard suspension and adds xenon headlights, auto-dimming side mirrors, ventilated front seats, heated rear seats, tri-zone automatic climate control, additional front seat power adjustments, a power rear sunshade, an 11-speaker JBL sound system and Toyota's Safety Connect system, which offers roadside assistance, automatic collision notification and more. The 2018 Toyota Avalon comes standard with anti-lock disc brakes, stability control, 10 standard airbags, a backup camera, forward-collision warning and automatic braking, lane-departure warning and intervention and automatic high beams. These advanced driver aids are optional on the Avalon's competitors. The XLE Premium trim and higher includes rear cross-traffic alert and a blind spot monitoring system. In government crash tests, the Avalon earned a 5-star overall rating. That score consisted of a 5-star side-impact rating and 4-star ratings in frontal and rollover assessments. The nonprofit Insurance Institute for Highway Safety gave the Avalon an excellent Top Safety Pick score due to its top performance in all crash tests and its Superior-rated front-crash prevention system. On the road, the 2018 Avalon is surprisingly responsive and adept through corners. Whereas older Avalons pitched and rolled around turns, the current one stays respectably flat (that's even more true of the sportier-tuned Avalon Touring). The ride is still quite refined, but its character has changed to be more involving and confidence-inspiring. In keeping with past Avalons, road and wind noise are suppressed at all speeds. When evaluating the interior, we immediately noticed that the Avalon's front seats are no longer flat and soft like your favorite easy chair. Toyota has added real contours to the current model, and there are even modest side bolsters to keep you planted in corners. The sloping roofline still leaves enough headroom for 6-footers in the back, and the copious legroom might even satisfy the 7-foot segment. Most controls are straightforward, although the high-tech IntelliTouch buttons on the center stack may require an adjustment period. Toyota says they're responsive to gloved fingers and long fingernails, but the jury's out on their small size and similar appearance at a glance. On the bright side, the gauges are Lexus-like in their crispness and clarity. The quality of the materials is comparable to many entry-level luxury cars. Trunk space in the regular Avalon measures a competitive 16 cu ft., and the Avalon Hybrid's trunk can still hold 14 cu ft. despite sharing that region with the hybrid system's concealed battery pack. 2018 Buick LaCrosse -- The LaCrosse challenges the Avalon for refinement, comfort and luxury while bettering it in terms of performance. Many will probably prefer its styling, as well. It gains a mild hybrid base model for 2018. 2018 Kia Cadenza -- The value-rich Cadenza is stylish, refined and draws heavily from the Avalon's full-size sedan playbook. You may not have heard of it before, but the Cadenza is worth a look. 2018 Chrysler 300 -- Offering rear- or all-wheel drive, the 300 is a champ on the highway. It also boasts the excellent Uconnect interface, along with optional HEMI V8 power. Used Lexus ES -- If you're looking for a more upscale experience than the Avalon offers, consider a used ES. Mechanically very similar to the Avalon, the ES boasts a higher-end cabin and, quite obviously, a higher-end badge. The best 2018 Avalon is an XLE Premium, which offers all the features you'd want without breaking the bank. It also boasts available hybrid or V6 powertrains, which means you can get excellent fuel economy or a surprising amount of off-the-line oomph.